Danish jewellery company Pandora has has appointed Geena Tok, previously an executive at Nike, to head its China business. According to Gem Konnect, “one of her main tasks is to counter the grey market in the country, that is seriously impacting its business with imports from other countries being sold online”. According to the same report, the Danish jeweler has 200 retail outlets and 1,400 personnel in China. China accounts for 12% of its overall sales. 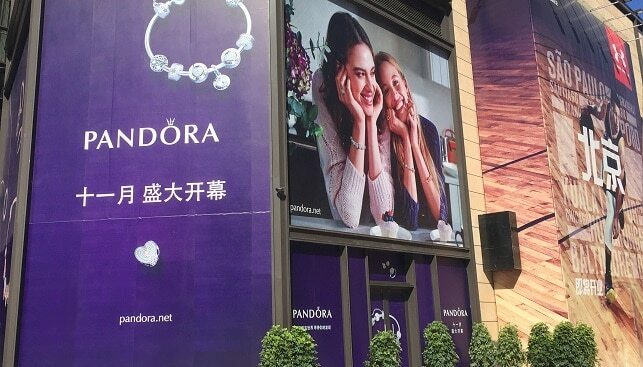 However, due to the grey market, Pandora “lowered its Chinese retail prices on average by 15 percent last month”. Earlier this month, it was reported that Anders Colding Friis, CEO of Pandora, will leave the company at the end of August. The announcement came after Pandora issued a profit warning.. Its shares plunged following the announcement, and the company lost “$1 billion, or almost a quarter of its market value” in its wake. Along with the profit warning, Pandora announced it will let off 397 of its 27,000 employees – 218 of these work in Thailand.